Avacta Group plc has been awarded a grant to work with the Mary Lyon Centre at MRC Harwell to develop novel Affimer reagents which could help reduce the use of animals in life sciences research. This has the potential to deliver substantial cost savings in the global production of genetically engineered mouse models, providing a significant commercial opportunity for the Company. Genetically engineered mice are a widely used and essential tool in biomedical research and drug development. If the efficiency of the mice breeding programmes could be improved, the cost of production would be reduced and fewer animals would be required, providing ethical as well as commercial benefits. Avacta has been awarded a CRACK IT Solutions technology partnering grant by NC3Rs, a UK-based scientific organisation dedicated to replacing, refining and reducing the use of animals in life sciences research. The grant provides funding for Avacta to develop Affimer inhibitors of a protein called inhibin. Inhibiting the action of this protein stimulates the production of greater numbers of embryos per mouse, a process called superovulation, which increases overall efficiency of a breeding programme. The Mary Lyon Centre at MRC Harwell, a world-leading centre for functional mouse genomics providing expertise, tools and facilities to generate mouse models of human disease, will evaluate the ability of the Affimer reagents to induce superovulation in mice. A good inhibin inhibitor could reduce the number of mice needed for embryo production by 100,000 animals a year in the UK alone. 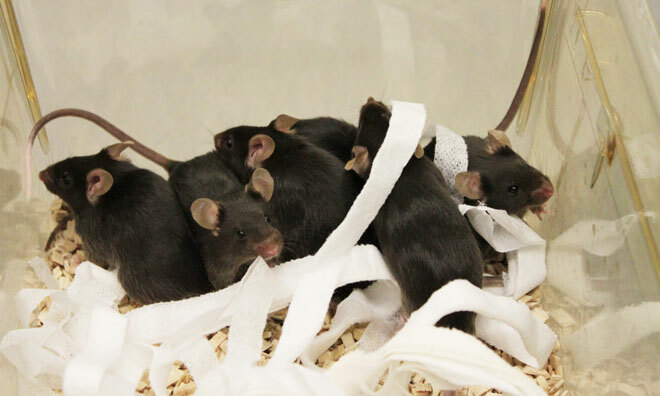 When this is scaled up to the number of mice used in breeding programmes globally, there are substantial cost savings to be made in the production of genetically engineered mouse models as well as a significant reduction in animal use. The market for an Affimer reagent that induces superovulation in mice could therefore be substantial.